A stark, no frills theatre set involving dark empty floor and blank walls greeted me on entering the theatre. As the audience poured in, anticipation rose and a variety of age groups were represented in the crowds including many dance students. Once everyone was seated, the doors were shut, the lights dimmed and three dancers appeared. One sat at a desk and the others lay on the floor. Ethereal scraping noises punctuated by loud bangs from a female dancer’s fists accompanied the jolting, jarring synchronous movements of the other dancers to begin the show. Many props were used during the dances including chalk blocks, jackets, towels and feathers. There were roughly 10 routines performed, each distinct in their mood and sound accompaniment arousing feelings across the spectrum. Each dance involved varying numbers of dancers ranging from 2 – 10. The dancers originating from all over the world were accomplished and energetic, the dances went from very still movements to very fast paced complicated routines and back with equal ease. 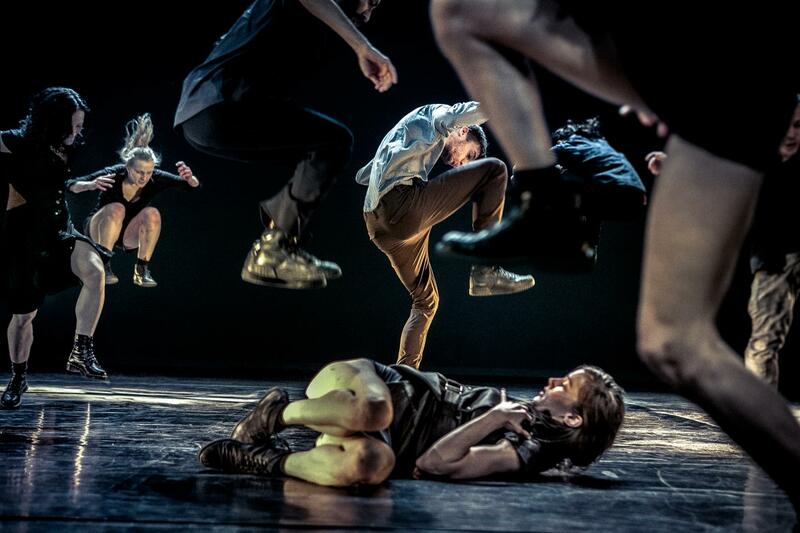 The combination of choreography by Wim Vandekeybus and Ultima Vez and music by Peter Vermeersch and Thierry De Mey has turned ‘What the Body Does Not Remember’ into a ground-breaking show that still questions the edges of dance and sound. It evoked emotion and provided more questions than answers, and I found myself both entertained and disturbed all at once. If you’re looking for something different then ‘What the Body Does Not Remember’ might be just the show to fill the void. Previous Moscow State Circus fills Poole Lighthouse with humour and awe!